Retro designs seem to make people smile. Is it because they represent a simpler life – pre social media and other technologies – or is it because many of us have a lovely memory attached to the iconic retro style? 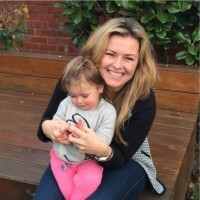 For Salisbury Road owner Shelly Acland-Goben, a beautiful memory sparked an entire business. 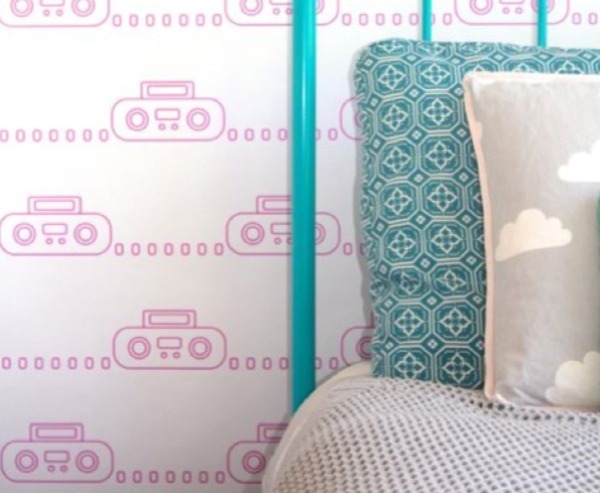 And I think all the retro lovers out there will love her gorgeous wallpaper and fabric designs. 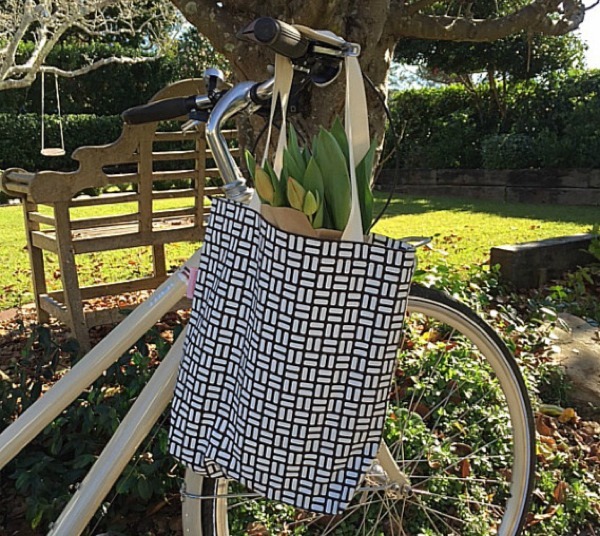 Salisbury Road is a textiles company that launched its wallpaper in 2014 and expanded to aprons, cushions and tote bags this year. Shelly comes up with all the designs in her home-based Sydney studio and then screen-prints them onto natural fabrics using water-based inks. All her products are influenced by Scandinavian design and a passion for vintage home décor. Shelly’s first design– and the one that started her business – is a retro caravan (top image), which was inspired by childhood summers holidaying with her grandparents. She lovingly restored an armchair belonging to her late grandparents, replacing the original upholstery with her caravan creation. That memory-filled design is now the hero of her Retro Icons collection of fabric and wallpaper. Shelly’s fabric designs include retro caravans, arrows, squares, rectangles and circles. The tote bags are $25, aprons are $35 and the pillows range from $50-$70, depending on the size you choose. All fabric products can be purchased on Etsy. 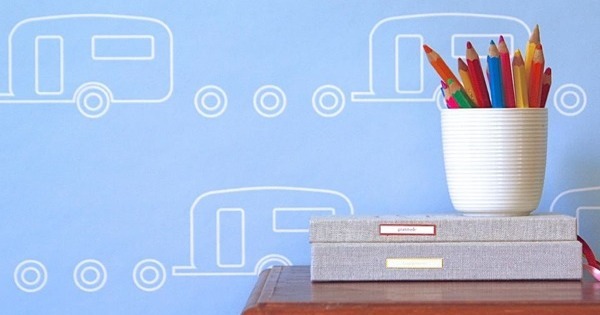 As for the wallpaper, they come in a retro caravan, house, stereo and television design. With a choice of vintage pastels or modern bright colours, they are eye-popping and look great. You can purchase the wallpaper through Emily Ziz Style Studio. Simply email them your room measurements and you’ll receive a quote. It’ll cost you roughly $123 per lineal metre and it’s printed to order so there is no waste.